The all new smart phone BlackBerry 8800 smartphone has a large, ultra-bright, high resolution (320 x 240) landscape display, which makes for crisp and easy viewing of emails, attachments, pictures, videos, web pages, business applications and games. The thickness of BlackBerry 8800 is just 14 mm, making it the thinnest BlackBerry smart phone till date. The quad-band GSM/GPRS and EDGE-enabled BlackBerry 8800 is a feature-rich smartphone with advanced and easy-to-use phone features including noise cancellation (cancels out background noise and echoes), Speaker Independent Voice Recognition for Voice Activated Dialling (VAD), intuitive call management functions, and it also incorporates the built-in GPS (Global Positioning System). Besides, the all new BlackBerry 8800 features a highly tactile built-in full QWERTY keyboard, a high quality, low-distortion speakerphone and Bluetooth 2.0 that can be used with hands-free headsets, car kits and other Bluetooth peripherals. 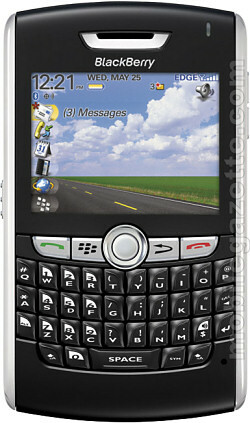 The newly launched Blackberry 8800 smartphone can operate well with the Blackberry Internet Service. This gives users the ability to manage up to 10 supported personal and corporate email accounts. This smartphone also works well with BlackBerry Enterprise Server, which includes IT policy controls for managing the smartphone’s features and usage. In addition, BlackBerry wireless platform gives corporate customers the ability to use a broad range of third party software solutions to support various business needs such as business intelligent, CRM and etc. The new BlackBerry 8800 has an updated modern design with shiny and chrome surface and most of all a much slimmer body. If you have used or seen a BlackBerry Pearl, you might describe the BlackBerry 8800 as a “double-wide Pearl”, because they share the same overall look, casing texture and control keys such as the same trackball style d-pad. The BlackBerry 8800 smartphone comes with a media player and a number of accessories including a stereo headset jack, and a microSD expandable memory slot. As conclude, new BlackBerry 8800 is an excellent smart phone and a surprisingly good navigator. 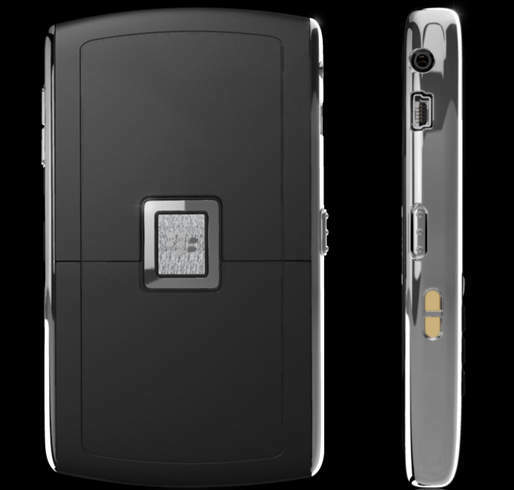 BlackBerry 8800 is expected to be a next hot smartphone model.